Transforming the world one life at a time. to transform the world one life at a time. On Sunday mornings we offer nursery at all three services and Sunday School for grades K-5th at the 9:45 and 11:00 hours. Click the button above for more details about nursery and Sunday School. If you are interesting in volunteering in the Children's Ministry on Sunday mornings, please click here. FAST 5 is a new ministry this year designed especially for Fun, Active Spiritual Training for our 5th graders. We meet each Wednesday at Argyle United Methodist from 6-7:30 pm. We spend our time having snacks, playing games, worshipping, and learning a Bible lesson. Our goal is to engage all types of students, challenge them with God’s word, and have FUN doing so. Please contact Danielle Allen to receive updates and information. Join us for your next favorite camp! 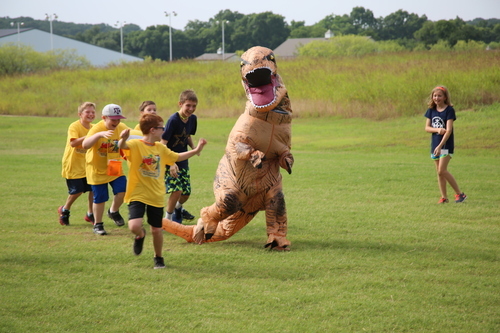 Introducing ARK, Argyle Recreation 4 Kids, hosted by Argyle United Methodist Church in Argyle, Texas. This summer, we will be providing 8 weeks of fun, flexible, faith-based camps for students ages 3 (as of 9/1/18) through entering 5th grade (as of 19-20 school year). From cooking to sports, spa science and chess, there is a camp for every child! Choose one week or join us for all of our camps (with a special discount when you sign up for 5 or more). 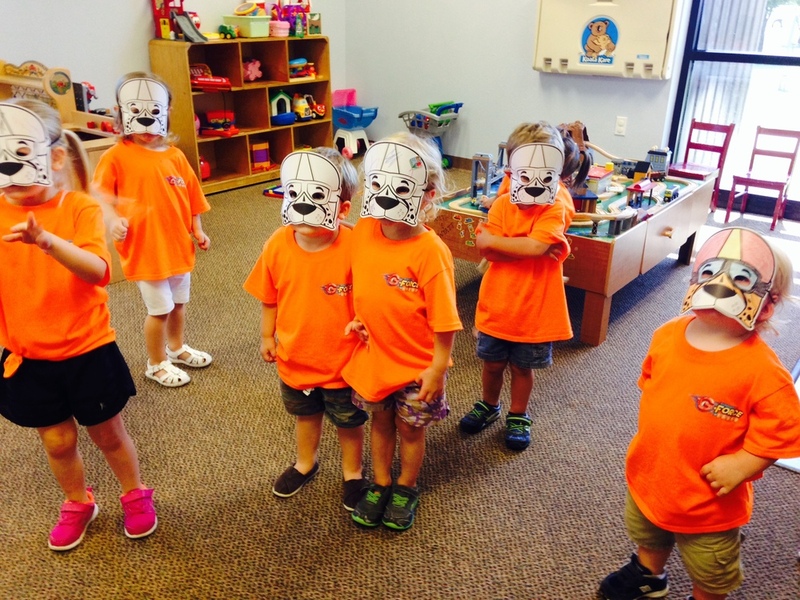 We even have an option to extend your Vacation Bible School fun to a full day! We are so excited to share this new program with you and look forward to some fun in sun together! Click the link below for more information! * In session 9:00 a.m. – 2:00 p.m.
* Help children know God created a good and beautiful world. * Help children know God cares for and loves them. * Help children develop self-esteem and a positive self-identity. * Prepare children socially and intellectually for participation within a group. * Identify and develop curriculum units as a method of teaching Pre-school objectives. When done filling out this from please save it and attach it to a email or print it and bring it to the school. High School Sunday Nights is our 9th-12th grade youth group. We meet on Sunday nights from 6-8 pm in the SMAC! Dinner is provided. Student Worship (Commonly known as STUWO) is our 6th-8th grade youth group. We meet on Wednesday nights from 6-8 pm in the SMAC (Student Ministry Activities Center). Dinner is provided for $5/youth. From Mission Trips to volunteering to help with programs within the church, our youth are always busy. Check back here for info on how to register for these and everything in between. This Summer, our Junior High Youth will partner up with UM A.R.M.Y (United Methodist Action Reach-out Missions By Youth) for our mission trip! UM A.R.M.Y. offers a middle school mission called JUMMP (Junior United Methodist Mission Project). This trip will be in Granbury, and we will be staying at Acton UMC. Our youth will build relationships with one another and God and learn the importance of our mission while repainting houses, yard work, roof work. This summer, our Senior High Youth will be partnering with UM A.R.M.Y (United Methodist Action Reach-out Missions By Youth) for our mission trip! This trip will be in Bracketville, TX and we will be staying at FUMC of Bracketville. We will be doing projects such as repainting houses, yard work, roof work, as well as diving into a deeper, more spiritual relationship with God and our friends. Stay tuned for more information about fundraising opportunities for our upcoming summer missions! Interested in more information or want to volunteer. You can Contact us Here! Argyle UMC defines a Life Group as a small, welcoming group of people who gather on a regular basis in the name of Jesus Christ and inlcudes a spiritual element in their meeting, such as prayer, scripture, and/or devotional. These groups meet regularly to study the bible, either on campus or off campus, such as Sunday School. These groups serve in our community and in the world, transforming it one life at a time through missions. Ministry groups, such as LIGHT or SALT, have regular activities and events scheduled throughout the year and serve in ministry. These groups get together to fellowship on a regular basis. This could include a prayer group or an exercise group. Prayer is the language of our hearts when our words fail to form. It is a dialogue of the heart with the Spirit as we invite God into these vulnerable places of our lives. It may be a cry for help, joy and thanksgiving, a plea for others, the quiet wondering of ‘why,’ the growth of friendship with God… and sometimes just the simple silence. You are invited to share your prayer requests, your concerns and celebrations and have Argyle UMC’s Prayer Team address each request. You may share your requests by using the Prayer Request cards in each of our worship services or by submitting a prayer online. You may leave a name or leave them anonymous. All requests are held in strict confidence. For more information on the Prayer Team Ministry, contact Mary Ellen Burum-Low at email maryellen@argyleumc.org. Do you have an urgent need that requires the attention of a Pastor or Caregiver? Pastors and trained Caregivers are available to offer spiritual support during an emergency or in crisis. If you have a pastoral emergency, call the Pastoral Emergency Line and leave a detailed voice message or send a text message to our Pastoral Care Line at (940) 294-6334. Once a message is left, a pastor or caregiver will be notified immediately and return your call or text. As covenant members at Argyle UMC, we have all made the vow to “uphold the ministries of this church with our prayers;” and not just our personal prayers and practice, but the discipline of intercessory prayer and the ways we surround our community with compassion and faith through prayer. Prayer is a powerful way to be in ministry together. We are invited to be part of each other’s most vulnerable moments and be authentic in our joy, sorrows, pain, fear and doubts. Our Prayer Chain Ministry at Argyle UMC receives prayer concerns and celebrations of our community and congregation weekly and as needed. Though this intentional prayer and practice, the Prayer Team members enter into the life and faith of those we know and even those whom we don’t know. commit to pray for these each week and as they come. commit to confidentially share in the concerns and celebrations of others. complete the confidentiality agreement: Find Electronic Form HERE. Contact Mary Ellen Burum-Low if you would like a hard copy. This ministry team provides care to our community through prayer, visitation, cards and encouragement. If you or someone you know needs a visit from the church, please contact Mary Ellen at maryellen@argyleumc.org. This ministry involves a prayer shawl that is gifted to individuals experiencing serious health concerns. The prayer shawl extends a tangible blessing and gifts of the healing prayers offered by the church family. Each shawl is dedicated in prayer and covered in loved for each recipient. They meet the 2nd Wednesday of each month in Portable 3 at 10 am. Yarn is supplied and anyone who knits and/or crochets (or wants to learn) is welcome and encouraged to join this rewarding ministry. The Prayer Shawl Ministry make shawls that are prayed over and given to those who need the comfort and love of Christ. Contact Ginny Rodgers at volunteers@argyleumc.org for more information. For those who are planning a funeral or memorial service. As a part of Congregational Care, the Bereavement Ministry’s desire is to provide assistance, whether you are facing the death of a loved one or death comes unexpectedly. It is with this goal in mind that we have provided this information to ease the stress of a most stressful time. This information will provide guidelines as you plan to honor and celebrate the life of that special person. Stephen Ministers provide one-to-one Christian care to individuals facing life challenges. The role of a Stephen Minister is to listen and care, not to advise or give counsel, and to recognize when a person’s needs exceed what they can provide. Stephen Ministers maintain only one caring relationship at any given time and usually meet with their care receivers on a weekly basis. Confidentiality is preserved at all times by not discussing care receivers by name or by implication. For more information, click the button above or contact Mary Ellen at maryellen@argyleumc.org. A great resource for people who need information regarding caregiving. Argyle UMC celebrates all different kinds of music and has different kinds of worship services each weekend. On Sundays, we have a Chapel Service at 8:30 am, a Modern Worship Service at 9:45 am, and a Traditional, choir-led worship service at 11:00 am. There are multiple opportunities to serve and get involved musically at this church. The Chancel Choir sings each Sunday at the 11:00 am service and on special occasions. This non-auditioned group is open to all persons from high school age to adult. Rehearsals are held each Wednesday evening from 7:00 to 8:30 p.m. in the sanctuary from August through June. Nursery is available for anyone who reserves it in advance with our Nursery Coordinator at childcare@argyleumc.org. The Worship Band & Team leads worship at our Sunday morning service at 9:45 am. If you feel that you have a gift to sing or play an instrument, we have place for you! Our Tech Team is an important part of worship. They make sure everything sounds great, looks great, and runs smoothly--we couldn't do it without them! If you are interested in worship, volunteering in the Sound Booth may be for you! Contact Jaime Sipes at jaime@argyleumc.org. Do you ever need to ring? Are you looking for a chance to learn a new skill and make beautiful music for God? If so then The Argyle Ringers is for you! Our non-auditioned handbell ensemble rehearses during the school year and helps lead worship seasonally. Rehearsals are Wednesdays from 6:00 to 7:00 p.m. in the Sanctuary. Contact Anastasia Markina to get involved!